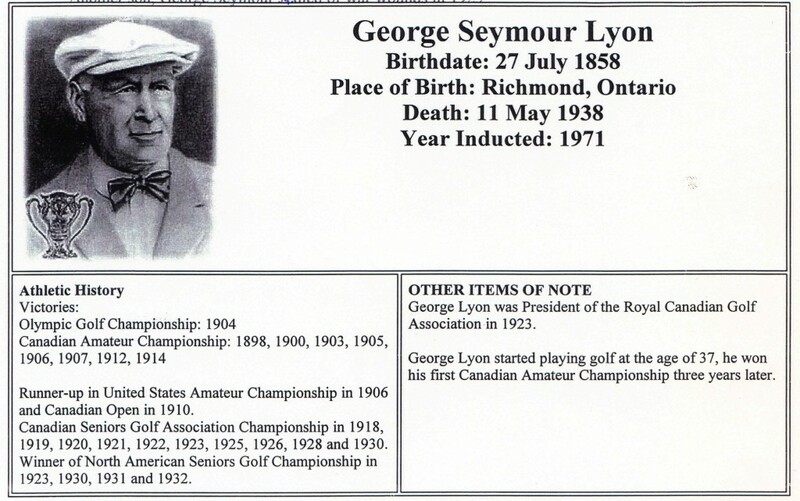 Robinson Lyon’s son, George Seymour Lyon, was born and raised in Richmond, later moving to Toronto. This grandson of Captain George Lyon gained notoriety as an athlete, golf and cricket in particular. 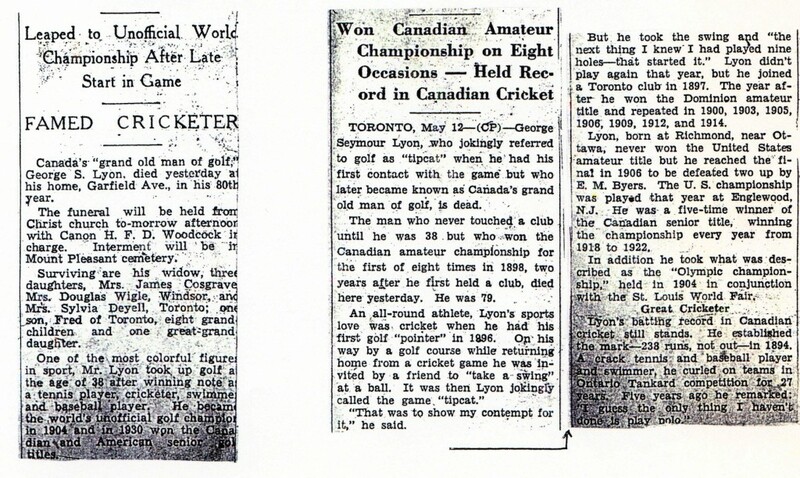 He was the World Amateur Golf Champion and the last Olympic Champion in golf (the St. Louis Olympics of 1904). 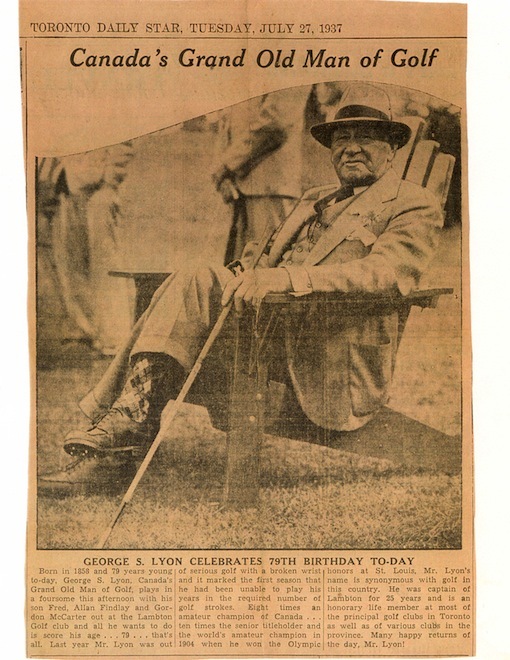 This entry was posted in Personalities and tagged Lyon. Bookmark the permalink.